Are you someone who routinely takes care of other people? It’s important to take care of yourself as well! We asked our friend, Lauren Woodard of Bloom Counseling & Consulting, to help give our readers some tips on how to create a self care routine for those who are feeling overwhelmed and with no ideas on where to start. Do you have any tips for those who do not know where to start? My suggestion would be to start with small goals. Just as you wouldn’t plan to train for a marathon in one week, I recommend allowing yourself at least one month to cultivate a self-care routine. If you haven’t been practicing any self care, these practices may be an adjustment for you and that’s okay. Start with 10-15 minute practices 1-2x a day to ease into a routine. Starting with a cup of coffee/tea while sitting in complete silence/with music is a favorite first practice for many of my clients. Secondly, it’s okay to slip up! As with any habit, there will be days that you skip self-care or lose motivation. On these days, focus on being compassionate toward yourself and then give it a try again the next day. Keeping negative thoughts and guilt from intruding on your much needed me-time can be difficult. 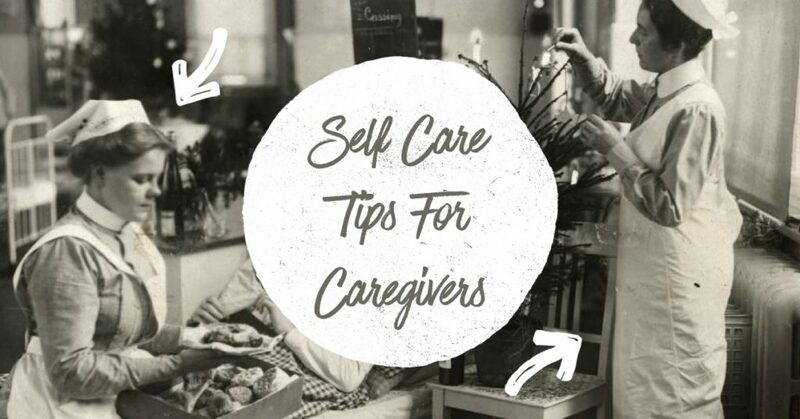 Do you have any advice to help caregivers from policing their self care? Negative thoughts and guilt about self care is very common, especially amongst caregivers. I would challenge anyone experiencing negative self talk surrounding self care to reframe the experience. How is self care helping you be a better caregiver? How does self care allow you to function better in your daily life? We all know it is impossible to pour from an empty cup. How can you make filling your cup a priority as a caregiver? For many of us determining our WHY can also help to reduce negative self talk surrounding self care. For example, if you want to be less stressed out and more present with your children, this is your WHY and motivating factor for cultivating a self care practice. Keep your WHY written where you can see it and refer back to it when tempted to skip self care. How do you make self care a habit? I schedule it! Just like I schedule work appointments and trips to the doctor, I schedule self care on my calendar each day. On particularly busy days it might just be 10-15 minutes, but it’s there and scheduling makes it a commitment I am less likely to skip. I also find that setting reminders on my phone and keeping certain items with me at all times (journal, headphones, colored pencils, etc) really sets me up for success and keeps me from making excuses! I have also found over time that I enjoy my self care activities so much that I feel a noticeable negative difference if I skip them… a built-in reminder! You are not likely to skip something that has a positive effect on your day. What is your go-to list of activities? For me, I enjoy art journaling, mindfulness meditation, yoga, coming to Wake for a soak and massage, spending time in nature, stream of consciousness writing, or curling up with a good book. For self care on the go, I love the smart phone apps Simply Being, Headspace, and Calm. At work, I often diffuse essential oils and turn to comforting teas and surrounding myself with things I love to practice self care. To find what works for you, I recommend typing “list of self care activities” into Google and/or Pinterest. Just researching lists of ideas will help you start brainstorming ideas of your own. Keep a running list you can refer back to for days when you feel stuck. Lauren Woodard, MSW, LCSW is the owner and founder of Bloom Counseling and Consulting. Lauren is a Licensed Clinical Social Worker and specializes in helping anxious children, teens, and young adults who are struggling with obsessive-compulsive disorder, panic attacks, generalized anxiety disorder, perfectionism, self-harm, and lack of coping skills. To find out more, visit www.laurenwoodardlcsw.com.